Mr. J's school holds a cake/goodie raffle every year as a fundraiser. Last year I made a caterpillar out of cupcakes, and this year he decided he wanted an angry bird cake to take. wow! that really turned out awesome! 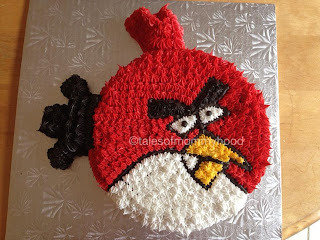 i wish I had your cake skills!